Comments: Sweet 2 tone male dog, not altered, no microchip, has a cherry eye. Small ears but they flip down. 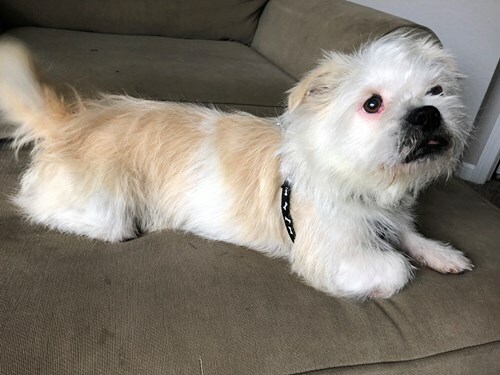 Looks to be a Shih Tzu mix with maybe a pug or Frenchie? Tongue sticks out, but teeth are perfect, so think he's under 2 years old.